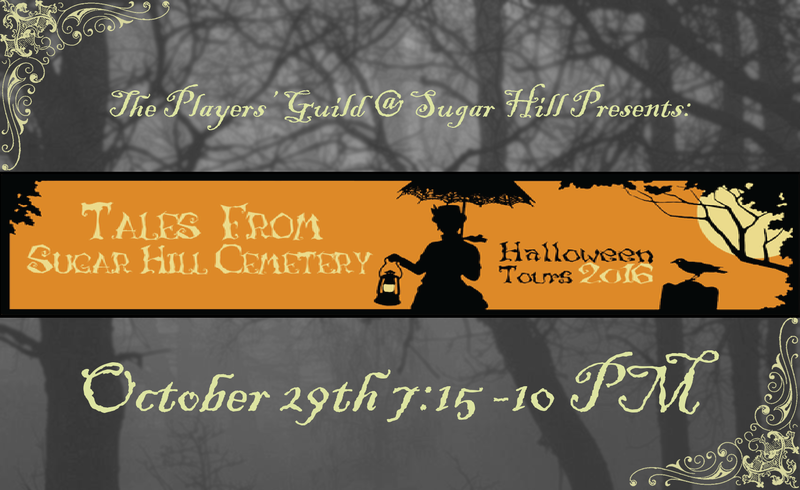 Tales from Sugar Hill Cemetery is a delightful stroll through the cemetery on October 29th. Guests will be guided through the cemetery by historic figures with roots in Sugar Hill. All proceeds will go to the Sugar Hill Baptist Church Cemetery fund.